With these wonderful imported Italian leather gloves, women can choose from two ways to show off their style. 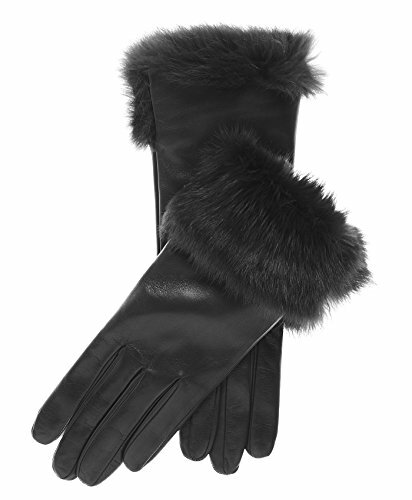 Wear the elegant rabbit fur cuff folded over on the outside for a classic vintage ladies' dress glove look, or turn up the cuff and it becomes a longer glove with the rabbit fur keeping you warm and caressing your skin. No matter your choice, the fine Italian lambskin leather, quality workmanship from Fratelli Orsini, and divine cashmere lining will look great and keep you warm when the cold weather arrives. Made in Italy by Fratelli Orsini. SIZING HINT: These gloves run true to size.